The Crime Writers' Association have presented their final 2015 CWA Dagger Awards to authors Smith Henderson, Karin Slaughter and Michael Robotham. At the CWA Dagger Awards reception, which took place at Malmaison, London on Tuesday evening, the CWA John Creasey (New Blood) Dagger was awarded to Smith Henderson for his novel Fourth of July Creek. This Dagger is awarded for the best crime novel by a first-time author. The judges said of the book, which is published by Random House/William Heinemann, "A powerful evocation of the rural America time has forgotten and the casualties in its wake. Both harrowing and life enhancing, a towering achievement and insight into a world many of us would rather ignore." Karin Slaughter was awarded the CWA Ian Fleming Steel Dagger for her novel, Cop Town. This Dagger is presented to the best thriller story of the year. Of Cop Town, published by Random House/Century, it was said, "The judges loved this fascinating story filled to the brim with rich and evocative period detail of Atlanta in 1974. The judges found the characters to be instantly real, engaging well-drawn and convincing helping the reader to be pulled through this dark and twisted story to the very end." The CWA Goldsboro Gold Dagger was won by Michael Robotham for Life or Death. This Dagger is awarded to the book considered to be the best crime novel of the year by our judges. They said of Life or Death, published by Little, Brown Book Group/Sphere, "When you start reading Life or Death, you'll want to stay curled up in an armchair with one of the best thrillers you'll read this year. This is a compelling and fascinating book." 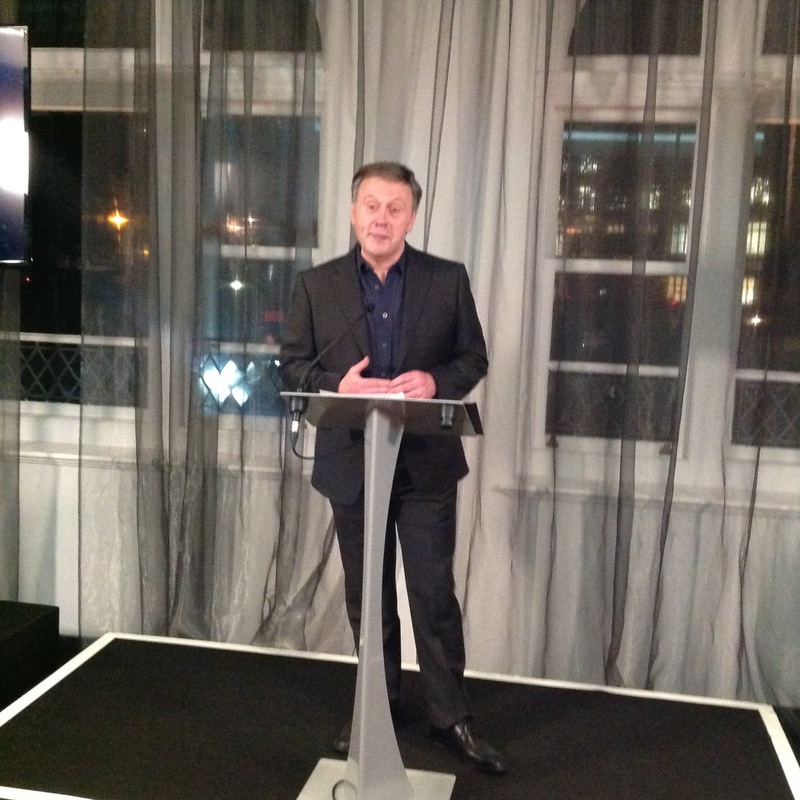 The Dagger reception concluded the 2015 CWA Dagger Awards, which also saw the launch of new web initiative Dagger Reads (daggerreads.co.uk). "This has been a simply wonderful year for the crime fiction genre and our judges were incredibly impressed by the standard of the entries," says CWA chair Len Tyler. "We're delighted to have been able to showcase and explore these 18 books in Dagger Reads. Next year we're rolling this initiative out to encompass all our Daggers and give readers the chance to discover all our short-listed books. It's a true celebration of the best work in the crime genre." The event was attended by a number of the short-listed authors including Michael Robotham, Paula Hawkins, Belinda Bauer, Mick Herron, Kate Hamer, Peter Swanson, Malcolm MacKay and Robert Galbraith. The CWA is now accepting entries to compete for the 2016 Dagger Awards. 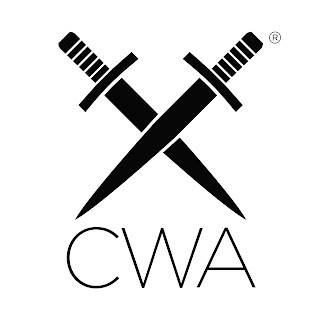 The Crime Writers' Association can be found online at www.thecwa.co.uk, on Facebook and Twitter. For further information please contact Kate White head of press at pressoffice@thecwa.co.uk or telephone 07814791775. Bouchercon, the World Mystery Convention, is proud to announce that the recipients of the 2015 David S. Thompson Award are Bill & Toby Gottfried. The David S. Thompson Award, named for the late beloved publisher, bookseller, and crime fiction reader advocate, is presented by the National Bouchercon Board torecognize EXTRAORDINARY efforts to develop and promote the mystery and crime fiction community. Nominees include writers, publishers, readers, editors, and fans. 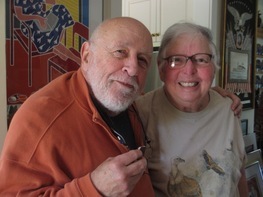 Extraordinary Efforts: Who best to receive this award than that extraordinary couple, Bill and Toby Gottfried, who have promoted mysteries and crime fiction through their involvement in mystery conventions, books groups, book buying, discussions and so more more. Bill and Toby exemplify what's best about the Mystery Community. Toby and Bill have attended almost every Bouchercon since 1985. Their involvement in the mystery community goes far beyond attending conferences and buying books. They have actively participated on multiple Bouchercon committees and have chaired two Left Coast Crime Conventions. They plan vacations and travel around mystery conventions. At each convention, they make authors and readers feel welcome, breaking bread with them, and welcoming them in every possible way into the mystery community as friends and family. Their involvement in the mystery community is driven by a love of people intellect, mystery, history, and fun. The David S. Thompson Award will be presented at Bouchercon 2015 in Raleigh, NC, on Saturday, October 10, 2015. 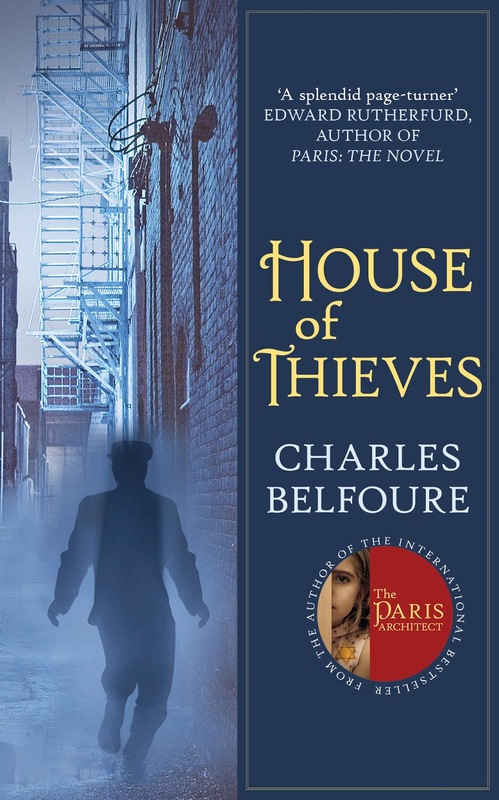 Today's guest blog is by author Charles Belfoure. 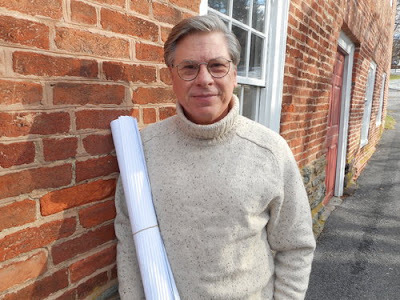 An architect, he practices historic preservation as both an architect and a consultant. His first novel was The Paris Architect. I have always been attracted to villains. In fact I admire them. In the movies, I always root for them to win out but in an American society based on strict Puritan-Calvinist morality, they always get their comeuppance and get caught or killed off. My admiration is probably because I secretly want to do something evil or criminal but don’t have the guts to actually try it. 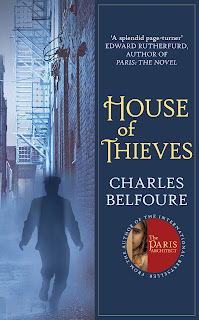 In my novel House of Thieves, a society architect in 1886 New York is forced to join a criminal gang in order to pay off his son’s massive gambling debts or the son will be killed. As the story goes on, the architect discovers he likes being a criminal. I based the character on a real historical figure named George L. Leslie who came from a wealthy Midwestern family and supposedly practiced architecture in New York City in the 1870s. He gave up being an architect because he preferred being a criminal who planned bank robberies. The career change was probably much more lucrative. The closest I’ve ever been to the criminal world is when as a young architect I inadvertently got a job designing a house addition for the head of the New England Mafia (the New England Mafia extends from Connecticut to the Canadian border) in the early 1990s. It was just a small addition to a nondescript suburban house (and yes, I got paid in cash). I didn’t find out who he was under the project was well underway. I knew something was amiss when I told the contractor, an elderly Italian fellow, that the steel beam he’d gotten was way bigger than it needed to be. He replied not to worry, someone had given it to us for free. I was scared but couldn’t do anything but see the job out. The Mafia is its own separate nation-state within America which has its own laws and doesn’t answer to anyone. Who would have I complained to? But I really got along well with my client. He was always on the construction site during the day telling me he worked nights. About two weeks after the job was finished, I was passing a newspaper vending machine and saw my client’s face on the front page. It was his mug shot from the time he spent at the federal penitentiary in Atlanta. The article said his naked body had been found in the river with a bullet in the base of his skull. A combined sense of shock, relief, and regret swept over me. I actually came to like the guy. Later, it turned out that his own crew murdered him because they couldn’t stand working for him anymore. From displays of his temper, I could tell he had poor people skills. In the same article were accounts of what happened to people that had crossed him. In front of bar he owned was a landscaped area where one day he saw a man trample newly planted flowers. He chastised the man who cursed at him. Two days later, the flower hater was slumped over the wheel of car with a bullet in his head. struck me. “You know, before he became a boss, he used to be the sweetest guy in the world.” That’s exactly the same thing the old contractor said about my client. After that experience, I had no desire to be in the criminal world but I still root for villains. More information about his work can be found on his website. You can also follow him on Twitter @charlesblefoure and find him on FaceBook. 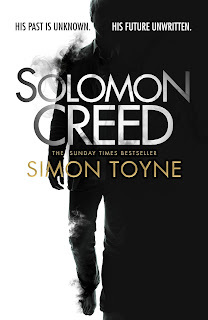 Where is Solomon Creed - Research! Today on the blog author Simon Toyne talks about his new thrilling novel Solomon Creed and how he goes about doing research for a novel. 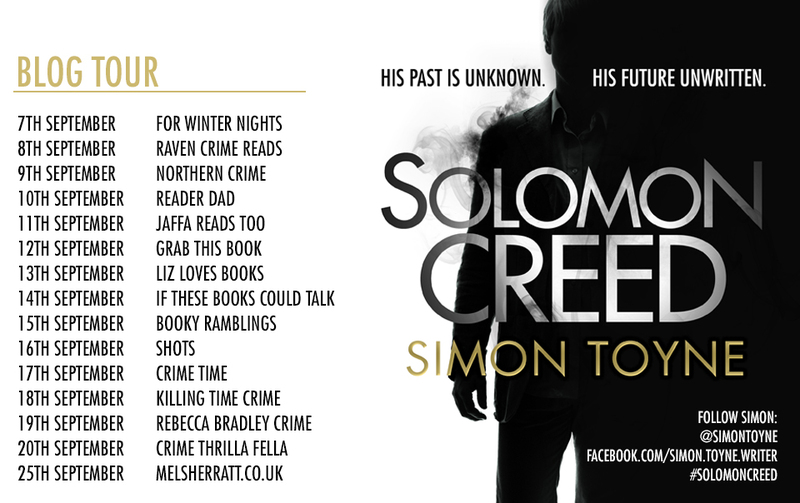 So far on the Solomon Creed Blog tour I’ve dealt with ideas and character, now I’m going to talk about how I go about researching a novel. Research is fun - all writers love research - it’s the grist to the mill, the gathering of the string, the delving into interesting topics and places that takes place before you have to sit yourself down and start the process of turning all that yarn into - well …another yarn. There’s an old axiom that says you should write what you know, but I think that’s incredibly misleading. In truth, all you really need to know in order to write a piece of fiction is human behaviour, and we’ve all been studying that from the moment we were born. Everything else you can research: guns, cars, locations, history, police procedure, language, local customs, everything - it’s all just an email, a phone call, a google search or a research trip away. I try hard not to get too bogged down in preliminary research. It’s not an exam, remember, you’re allowed to look things up as you go along. In fact I often don’t really know exactly what I need to research until I start writing. I let the story tell me what I need to know, not the other way round. Having said that there are always some things I need to know about before starting writing, the foundation upon which the rest will be built. With Sanctus it was the inner workings of a medieval monastery, with The Key it was lost languages and how viruses spread, with The Tower it was space telescopes, and for Solomon Creed it was Mexican drug cartels and the history of copper mining in Arizona. I start by Googling things, reading articles, Wikipedia entries, blogs about the subject and start collating a document with these useful links on it for future reference. This initial reading tends to throw up names of books and authors and I’ll make a note of these too and order titles that seem to deal with whatever I need to know. old mining town to set the story. I also wanted to feel what the desert was like in the height of summer, and smell the rain and listen to what it sounded like. This is the sort of stuff you can’t get from Google. I took lots of pictures too, some of which I’ve put up on my Pinterest board. I use these photographs for reference throughout the first draft, studying and re-studying them, pulling out different details to help pin my story to the page. Once you have enough to get started I’m a firm believer in the rule that you should get started and keep on going, even if you come to something that needs checking. I used to look things up as I went along but have now stopped doing this because research is too distracting. What I do now is when I hit a fact that needs checking is I make it up and write those bits in CAPITAL LETTERS so it’s easy to see what needs researching for the second draft. Often the thing I made up to suit the story is fairly close to the truth anyway. Sometimes the truth is wildly different and extremely boring so I stick with my made up version and brace myself for the inevitable emails. So, once the initial research is done, the only thing between me and the first draft is the outline, and I’ll talk about that tomorrow on the next stop of the blog tour. More information about Simon and his work can be found on his website. 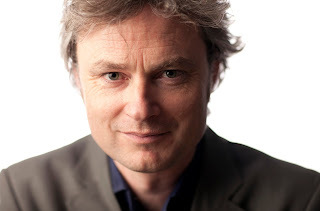 You can also follow him on Twitter @simontoyne and find him on Facebook. A plane crash in the Arizona desert. An explosion that sets the world on fire. A damning pact to hide an appalling secret. And one man bound to expose the truth. He is Solomon Creed. No one knows what he is capable of. Not even him. 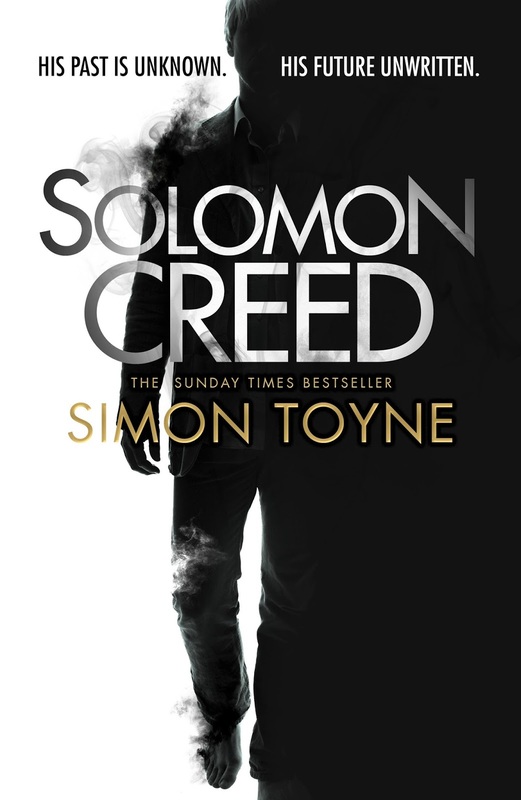 When Solomon Creed flees the burning wreckage of a plane in the Arizona desert, seconds before an explosion sets the world alight, he is acting on instinct alone. He has no memory of his past, and no idea what his future holds. Running towards a nearby town, one name fires in his mind – James Coronado. Somehow, Solomon knows he must save this man. But how do you save a man who is already dead?